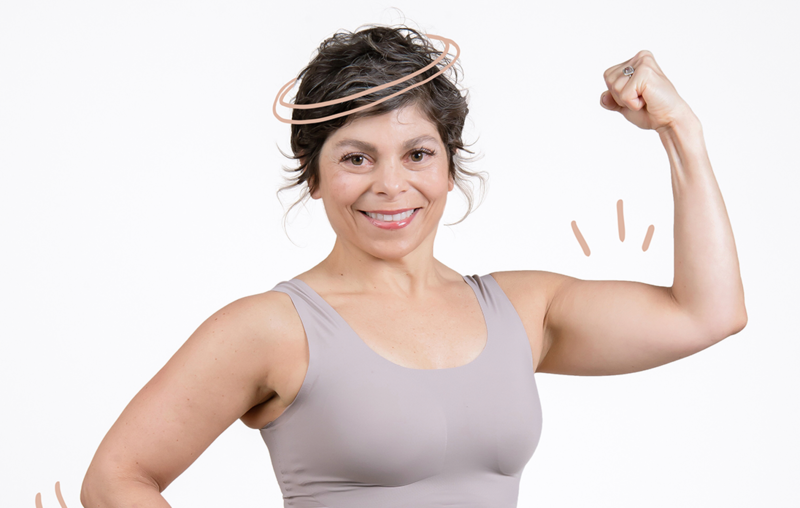 The be.come project is a body-neutral, I-can-do-it, go-on-and-love-yourself approach to boutique fitness in an accessible 25-minute routine. All you have to do is show up – anywhere, anytime. Each week, be.come participants receive a curated routine taught by Bethany that mimics an in-person class experience. #thisweeksroutine is designed to be done repetitively over the course of 7 days. Your body will become familiar with the flow and movement, gaining strength and confidence with each session. All you have to do is be.come. The be.come project routines are a unique blend of the alignment of pilates, the lengthening of yoga and the musicality of dance. Each routine begins with a warm up, flows through the right side body, bridges to the left side and concludes with a high energy finish. The seamless transitions are structured to keep you engaged from beginning to end. aka: maximum effect, minimal time. aka: little time for hair fixing or phone checking. Ever tried learning a new language? You are shown an apple, then you say apple, then you write apple, then you point to the apple. You do it over and over again until when you see an apple, you think manzana. When you be.come, you practice the same routine all week long. On session 1 you begin to learn it, by session 3 it starts to click and by session 5 you are soaring through the movements feeling them in a whole new way. Then next week comes and we start again. Honestly, it’s magic. I’m not sure who these people are who have hours to spend at the gym everyday, but I’m not one of them. Give or take, each be.come routine is 25 minutes of active movement. If you don’t think you can get a good workout in 25 minutes, I can’t wait to blow your mind. Carefully crafted and smartly cued. Do it quick, do it right. Most people think “I want to lose weight so I can feel good.” but what if that conversation shifted to “I want to feel good so I can lose weight”. 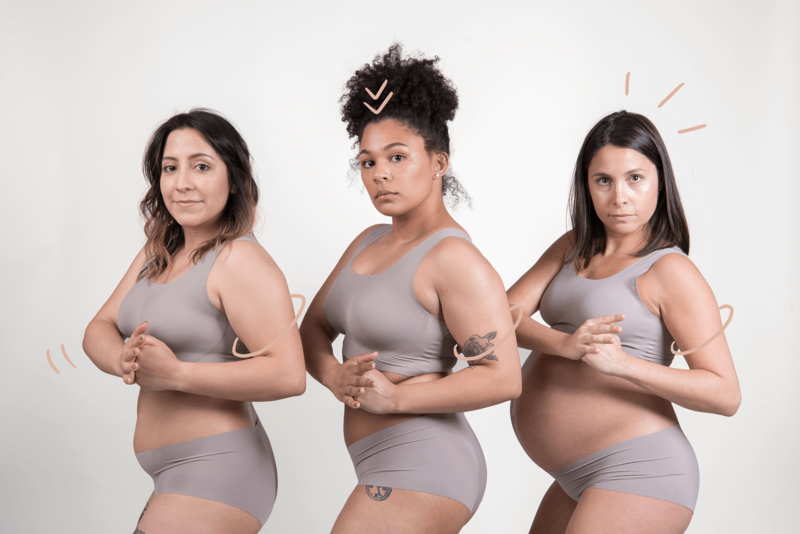 The be.come project focuses on the feel good, because the weight loss will inevitably follow (and you won’t even have to beat yourself up about it.) Each time you open and close a routine, you’ll be asked a simple question, “how do you feel?” This gives you a beat to check in and examine how your daily movement affected your emotional state that day. Feeling good and losing weight no longer have to be mutually exclusive. Every rule has its exceptions, but overall be.come can be tailored to your level and modifications are always encouraged. All movements are zero-impact and because we use your body as the primary piece of equipment, you can choose to push yourself or modify, depending on the day. If you are able to lunge and plank (including modified planking) you can be.come. be.come is pregnancy friendly for those who aren’t high risk and were active pre-bun-in-the-oven. The beauty of everyone doing the same routine each week is that we are all in this together. Ask me a question and you’ll see the answers posted in #thisweeksroutine – a resource center where you’ll find tutorials, tips, and tricks on moves we’ll master each week. This is my way of bringing the studio to you. As your instructor, I’ll be present, engaged, and aware of what you are doing each day and week. why only one routine a week? Where do I begin??? Top Ten List? Okie. 10) You’ll learn the moves better. 9) By the end of the week it will feel like moving meditation. 8) You can chart your progress from session to session instead of waiting 12 weeks to see if you lost lbs. 7) You won’t waste time searching through a bunch of videos to find the right one. 6) I’ll know what you’re doing each week and can vary the muscles and build on the moves. 5) I’m a control freak. 4) When you ask “why is my hip flexor tight” I’ll be able to pinpoint what move might be causing it. 3) It builds community – you can all chat about how much you love / hate this week’s lunge series. 1) I’m a control freak. Body-positivity implies that we need to feel positive about our bodies all the time. Since that’s a pretty hard thing to do, we can end up feeling like we failed when we don’t feel happy-peppy-positive about our bodies every-single-freakin-day. We prefer the use of body-neutrality because that means some days we feel good about our bodies, some days we feel bad about our bodies, but all days we respect our bodies. Unless you cancel your subscription, you will be charged a $35 monthly fee, automatically and approximately, on the same day of the month that the original purchase was made. You must cancel at least 24 hours before your subscription renews in order to not be charged for another month. Once your account has been billed, all sales are final. Refunds are not available regardless of whether or not you use your subscription. Love you, but babes got a business to run. how many times a week should I do the routine? Each week, look at your schedule and set a realistic goal of how many times you think you can manage the routine – you are able to set and edit goals within the app. Then listen to your body throughout the week to find your sweet spot. I always recommend at least three times so you can gain a connection with the movements. However, if your body wants to do it everyday, that works too. what if I don’t love the routine the first time I do it? I think we can all agree that the first time is never the best (lols) but that’s kind of the point. The first session is a little awkward, but with each session you complete, it becomes smoother and light bulbs start to go off in both your mind and body. Plus, you can submit questions, thoughts and tutorial requests. On Wednesdays we post tutorials based on client feedback. what if I want to workout longer than 25 minutes? While the 25-minute routines are designed to be short, sweet and super effective, you are more than welcome to do the routine back-to-back for an hour-long workout. Each be.come warm-up also serve as a great cool down, making doing it on repeat a seamless transition. If you take an in-person class with Bethany, you’ll actually do this technique. And if you desire (although not required) you can tack be.come on to any other workout you currently do. Because be.come is core strengthening and low-impact it will enhance other workout disciplines. can I really do it if I’m pregnant? For the most part, YES! Starting a new program when you are pregnant is not recommended by doctors, but for those who have already been be.coming, go for it. Always consult your doctor before doing any workout program while pregnant. Every routine has modifications suited to those who may be pregnant, so be sure to follow along. Once your belly has “popped” begin to avoid crunching and severe twisting. when do the new routines come out? A new routine is released every Monday at 12:00 am EST. The routine expires Monday at 12:00 am EST. There is always a routine available. Get it while it’s hot. i don't live in the US, can I still be.come? You sure can. Anyone with a smartphone or tablet can be.come. The only thing to note is that this pricing is in USD and you will have to pay the exchange rate. We promise we are working on a better solution and hope to bring that to you in the coming months. Still have concerns? Shoot us a note. Is there a way to play the routine on a bigger screen? We’ve been working hard with our development team to make this possible for EVERYONE! We’re hoping to have our BEAUTIFUL web experience up and running in the next three weeks! – If you wish to view the routine on your browser or Chrome Cast — email us and we’ll send you an external link each week. how do I pause / cancel my membership? Pausing your membership is the same thing as canceling except when you’re ready to start back up, you don’t have to recreate a username. We wanted to make this very easy to start and stop at anytime. You can do this in 4 steps from inside the app. -In the next page, click the three bars in the top right. can I give the gift of be.come?